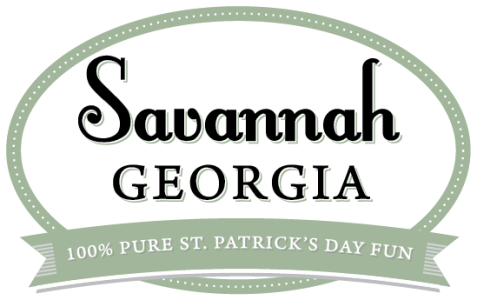 The Savannah Economic Development Authority wanted to send out a St. Patrick’s Day themed mailer to help build brand awareness and promote the city of Savannah. Since this was a non-traditional “holiday”, they wanted to send something as fun and quirky as the celebrations tend to be. 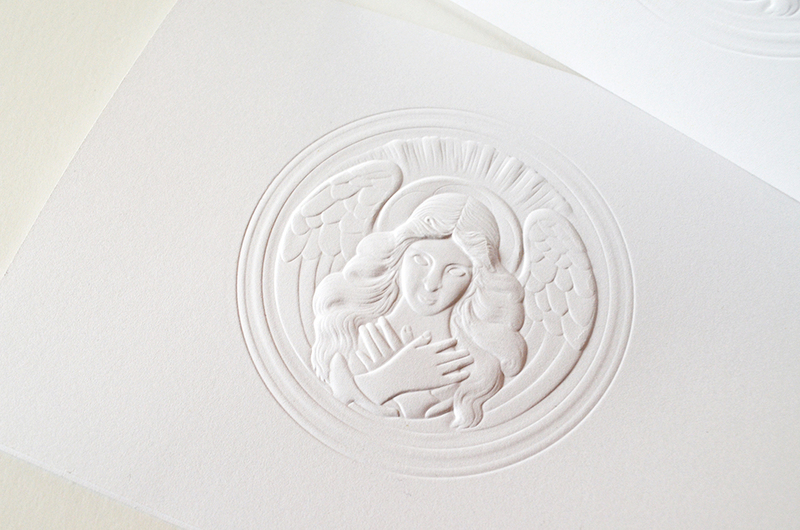 And given the recipients on their list, they wanted something that would stand out among the usual mailroom fare. 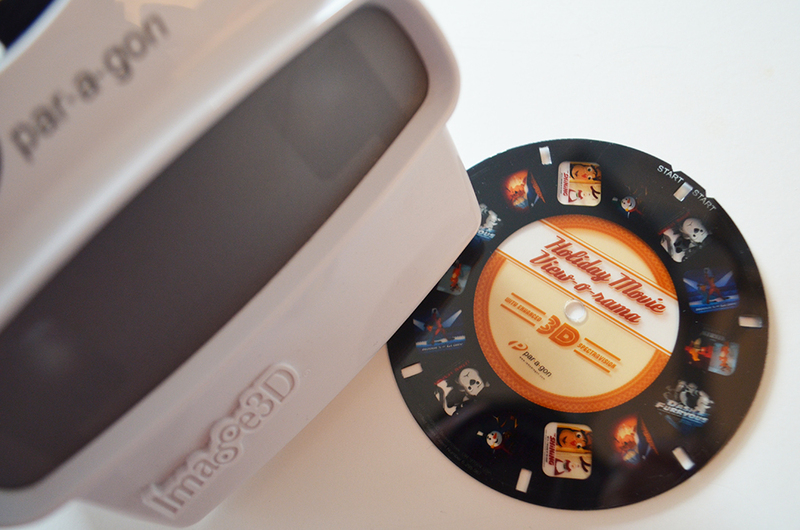 We started the process by looking for a great local product to feature. And what better post-celebratory pick-me-up could there be than a hand-roasted brew fresh from the hostess city? Exactly – that’s what we thought. 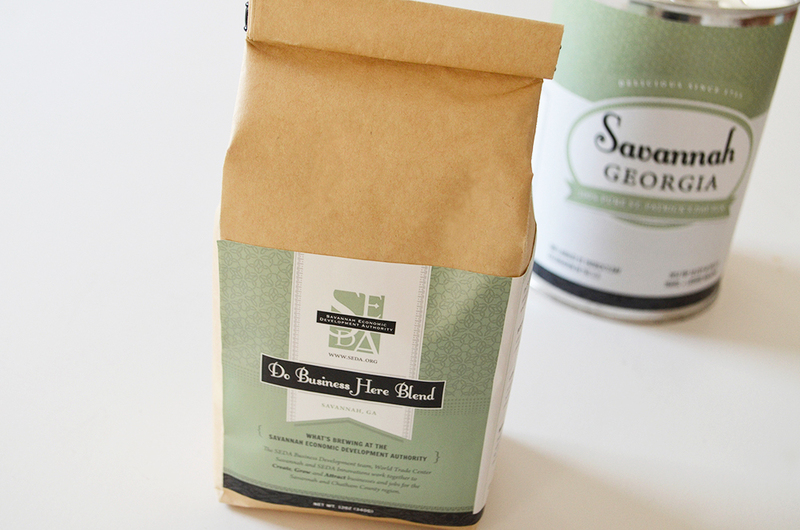 We worked with local coffee roaster Perc Coffee to concoct a freshly roasted taste of Savannah. After some research into US Postal Service limitations we were pleasantly surprised to discover that there was nothing preventing us from forgoing standard packaging. That very quickly led us to choosing a can with a pop-top as our mailable packaging. 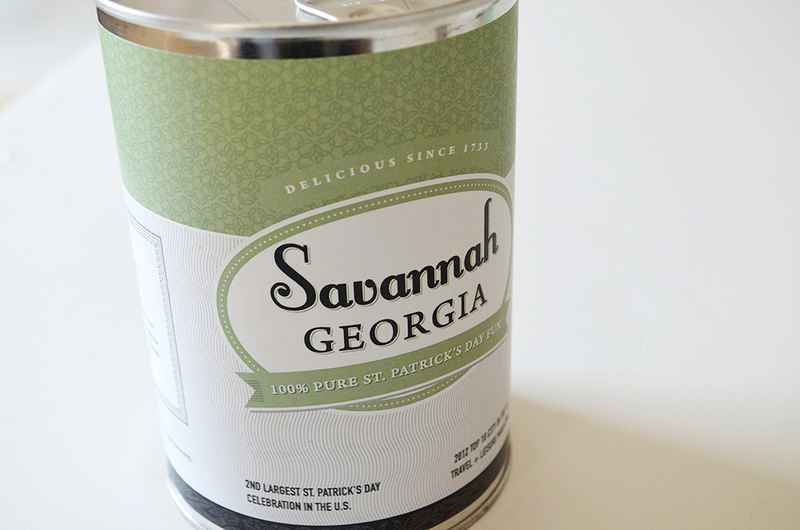 While we knew a can in the mailbox was sure to get some attention, we also knew that our ultimate goal was to promote the city of Savannah and encourage interested parties to contact SEDA for more information. 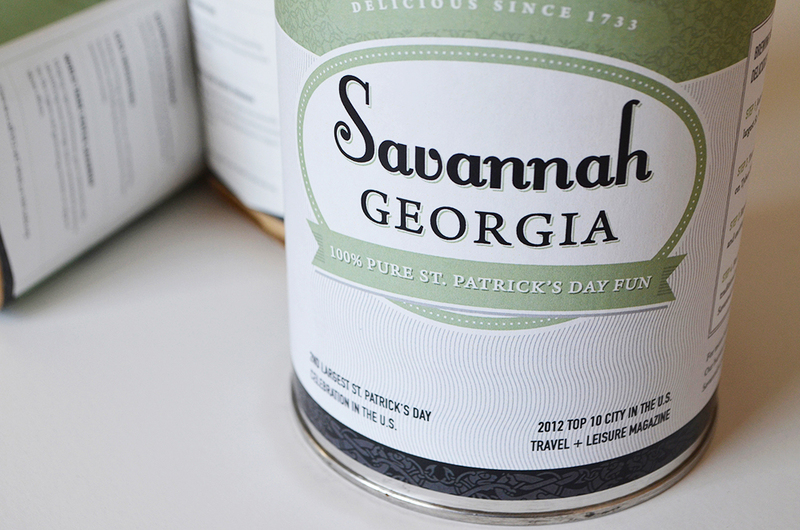 We decided to design our cans to look like traditional coffee cans but with messaging to promote Savannah. 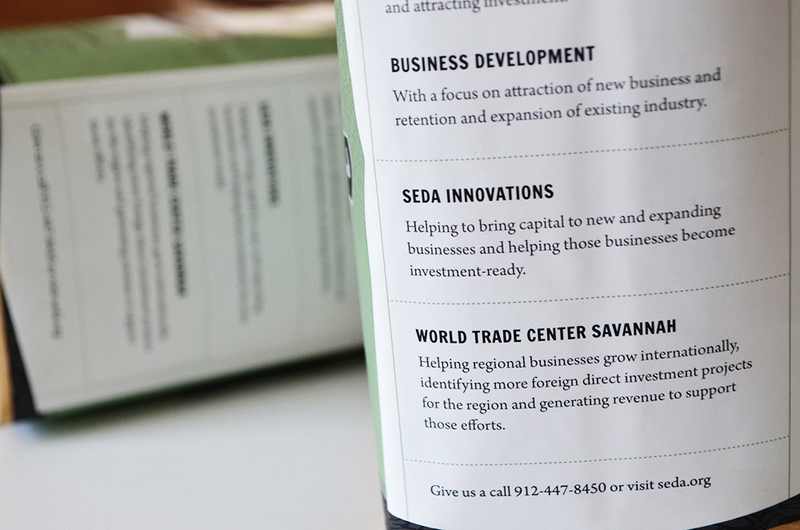 Then we designed coffee bags that would go inside the cans with labeling specific to SEDA and the programs and resources they offer. 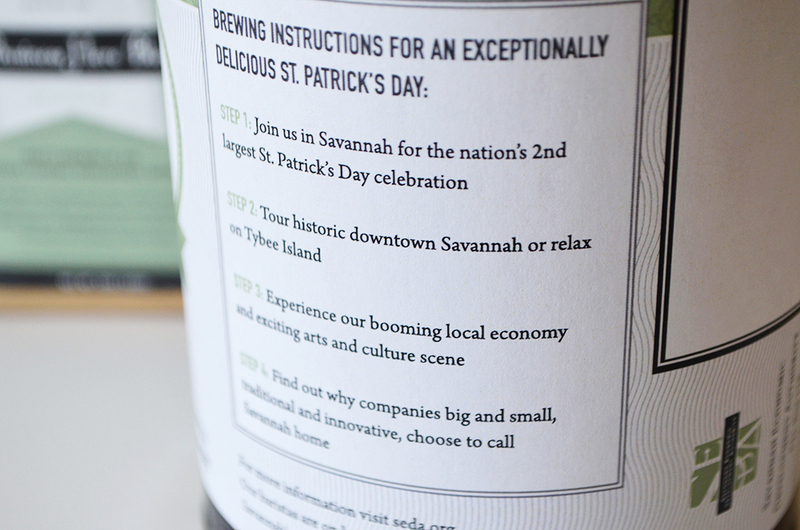 After surveying countless cans of coffee on grocery store shelves, we replicated the placement of key information with our own copy highlighting how great of a place Savannah is be for both lifestyle and business. 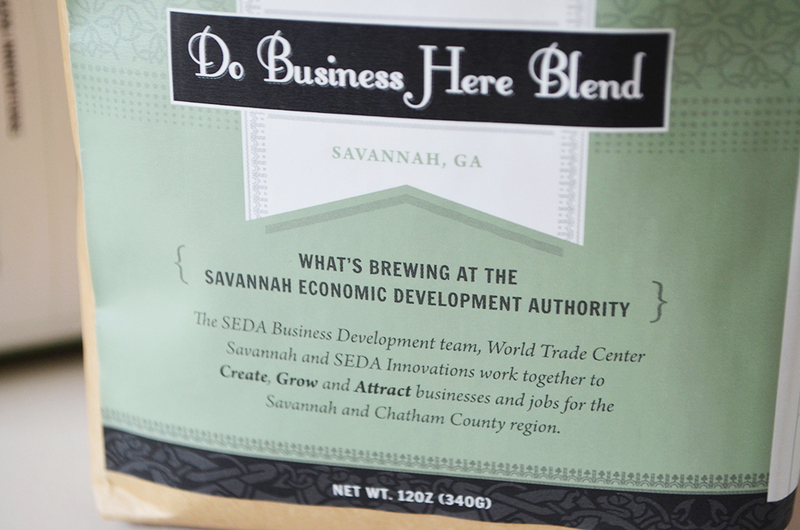 Similarly, for the coffee bag label, we used recognizable placement for our SEDA specific messaging. 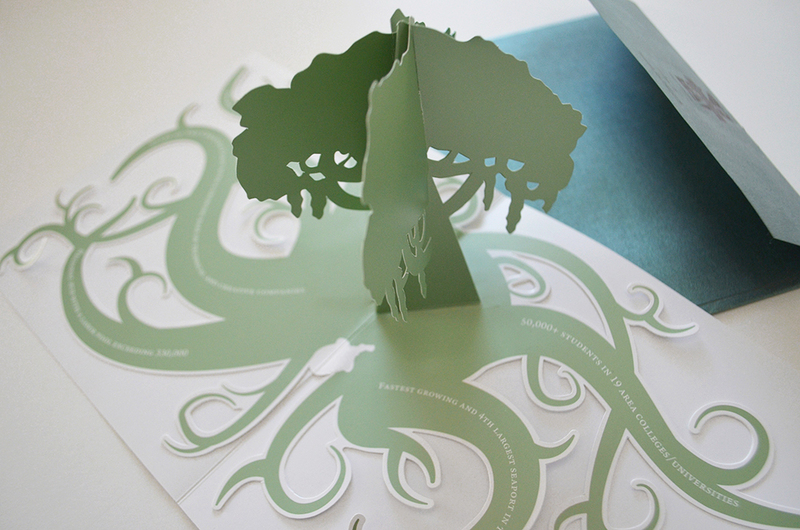 One of the unique challenges of this project was that it required a quantity too small to engage a manufacturer for the task. Never ones to shy away from a challenge, we bought ourselves a canner (and a lot of cans in order to fully master our craft). 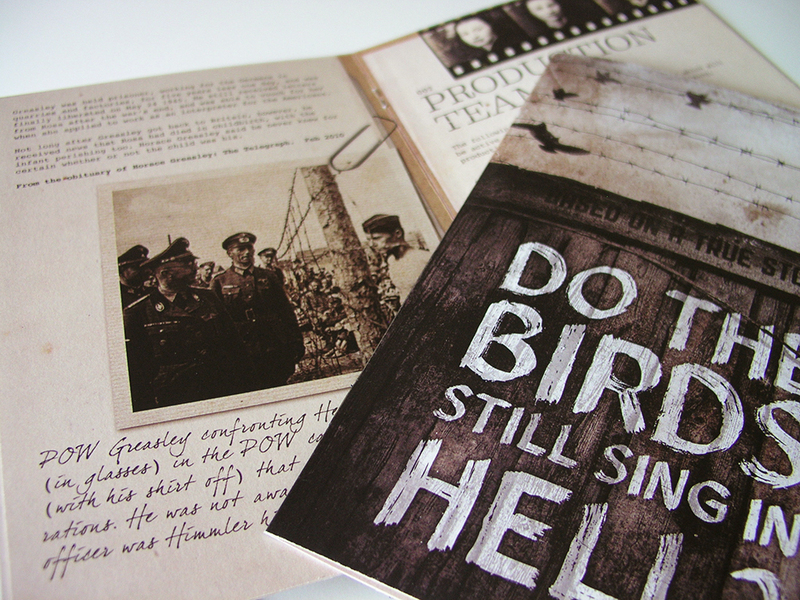 As you can imagine, there were some truly impressed people on the receiving end of these mailers! 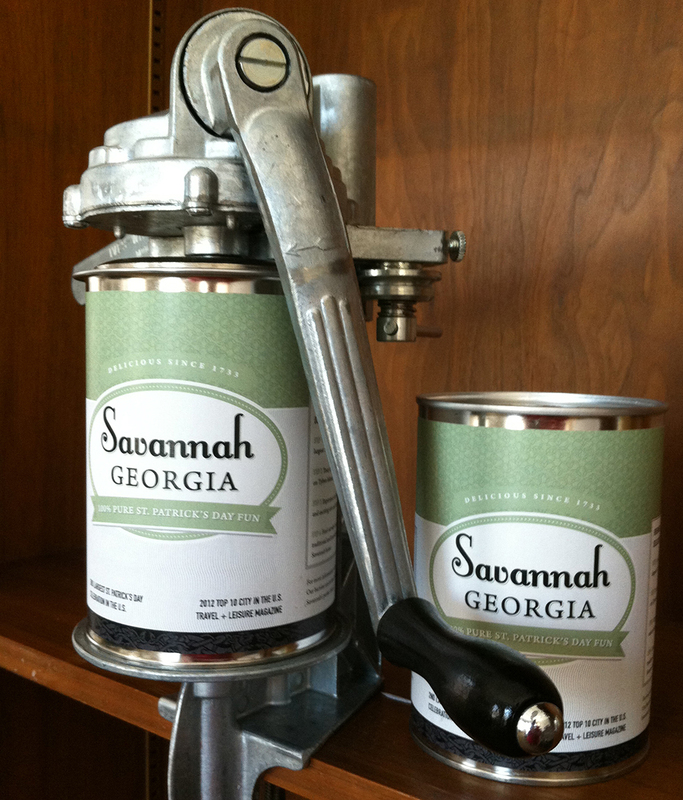 And, not to brag or anything, but we’ll can the heck out of just about anything that’ll fit on our old-school canner.